Would it surprise you that Jesus liked to tell secrets? Not exactly how many of us imagine gentle Jesus, meek and mild. And yet everyone loves to be told a secret. That is why gossip is so attractive. They were looking for a military hero or strong leader that would kick out their oppressors, Rome, and give the people freedom again. If you spend much time in the New Testament, you read over and over again that Jesus announces that he is that long-awaited coming King—but not the king for which they were looking. And he does it repeatedly through acts of secrecy. Many times in the New Testament, He would heal someone and then tell the people not to tell anyone. He would cast out a demon and command the restored man to not tell anyone. Or someone would do the math and figure out that he is the Messiah and he would shhhh them. This happens over and over again, until one event—the cross. The cross is the open secret of how God acts to make the world right again. The cross is the singular event that makes possible for you and me to enter into a flourishing life on this good earth. This is the punch line to the devil’s joke. This is the surprising twist. Virtually everyone in those days was looking for a man who come along and they could make a king to solve all of their problems; but the God and King of the universe became a man. While they were waiting for someone to come along and fight a battle to throw off their foreign oppressor, Jesus gave himself up for those who loved him and the enemies who hated him. 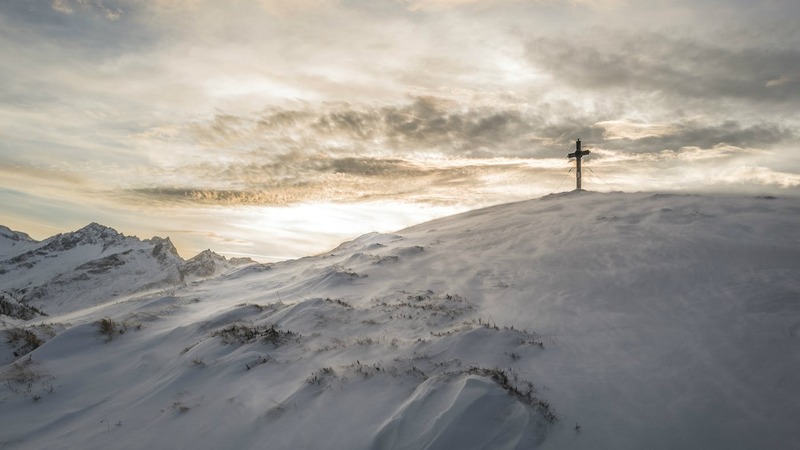 And by his body being sewn into the rocky hard-pan of a garbage heap outside of Jerusalem, Jesus wins a victory over even older, and darker enemies than Rome—sin and death. We can’t understand God or life—without the cross of Jesus at the very center of it. This is the mystery that Jesus will make your life into a miracle harvest. The invitation from Jesus is to live life the way he lived life. To apprentice ourselves to Jesus and live his pattern of life. And, as my father used to preach when I was a kid, we dare not enter that life lightly because it eventually led Jesus to die on a cross. Are you willing for follow Jesus that far? The amazing thing is that when we follow our story-telling rabbi all the way to the cross, we find that what looked like a cul-de-sac is really a highway to a flourishing life. And the answer from heaven was, “My life cannot be released into them unless you become a seed, die and go into the ground.” And He did! He became voluntarily weak for us. And that is the secret of the kingdom; the power of the Word is the weakness of the Lord. When you see Him doing that for you and the beauty of His weakness and that comes deep into your life…that will change you. I love the way Emily Dickinson describes what Jesus does for us in statements about the mystery of His kingdom. This is what Jesus is with these cryptic statements and hangs willingly on a cross for me and you. He is bringing us God’s truth but bringing it in way that catches us off guard. He is bringing us truth but bringing it to us slant. This entry was posted in Uncategorized and tagged Christ-follower, Cross, Jesus, parables, The Kingdom of God. Bookmark the permalink.